A guide to saving, storing and securing your home address in your new Honda Accord, Civic, CR-V, Crosstour, Oddysey or Pilot. With the map showing, press the Info button. Scroll to setup and press in on the control stick to select it. Once again use the control stick to scroll to Personal information and press in to select it. Scroll to Home Address 1 and press in on the control stick to select it. First enter the name of this address. 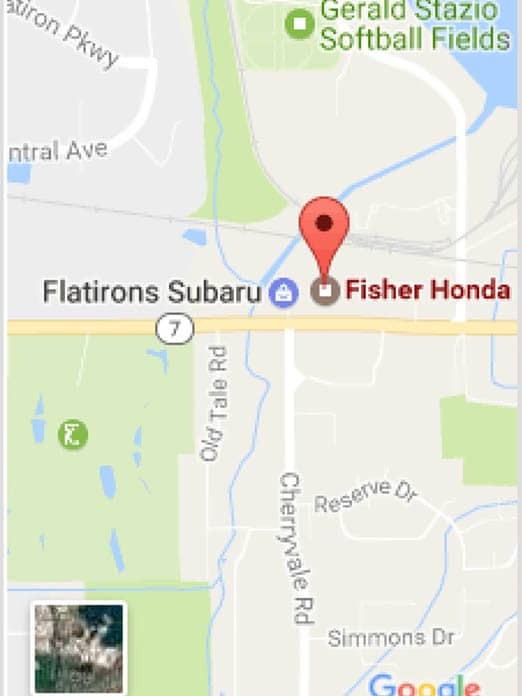 We are going to enter Fisher Auto as our home. Use the scroll wheel and enter button to select letters. When you are finished, push the control stick down to confirm. Repeat this for the street address of your home. If you are currently at home, you can select “Current Position”. Otherwise, scroll to Address and enter the street address of your home destination, including the state, street and street number. Once you have entered your address you will see this confirmation screen. Press the control stick down to save your entry. The next step is to set a pin number for your address. This will ensure that in the event your car is stolen, that the thief cannot find out where you live. Scroll to the “Pin Number” option and press in on the control stick to select it. Select the address that you would like to set a pin for and press in on the control stick to select it. Enter any four digit code. Remember your selection, because you will need it to make changes to your address or navigate there. For this example we are going to use “0, 0, 0, 0”. Once you have entered your code, press the control stick down to confirm. You will now have to enter your pin a second time and press down on the control stick once again to finalize your entry. Press the map button to return to the starting screen. Now, to navigate to your home address, press the destination/route button. Scroll to Go home 1 and press in on the control stick to select it. Enter the PIN you just created and press down on the control stick to confirm. You can now view available route options or press in on the control stick to select the suggested route.